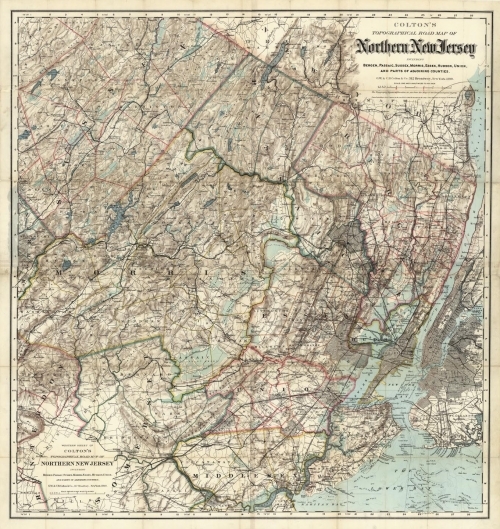 COLTON'S TOPOGRAPHICAL ROAD MAP OF NORTHERN NEW JERSEY INCLUDING BERGEN, PASSAIC, SUSSEX, MORRIS, ESSEX, HUDSON, UNION, AND PARTS OF ADJOINING COUNTIES. Lithograph, partially printed in color and finished by hand. 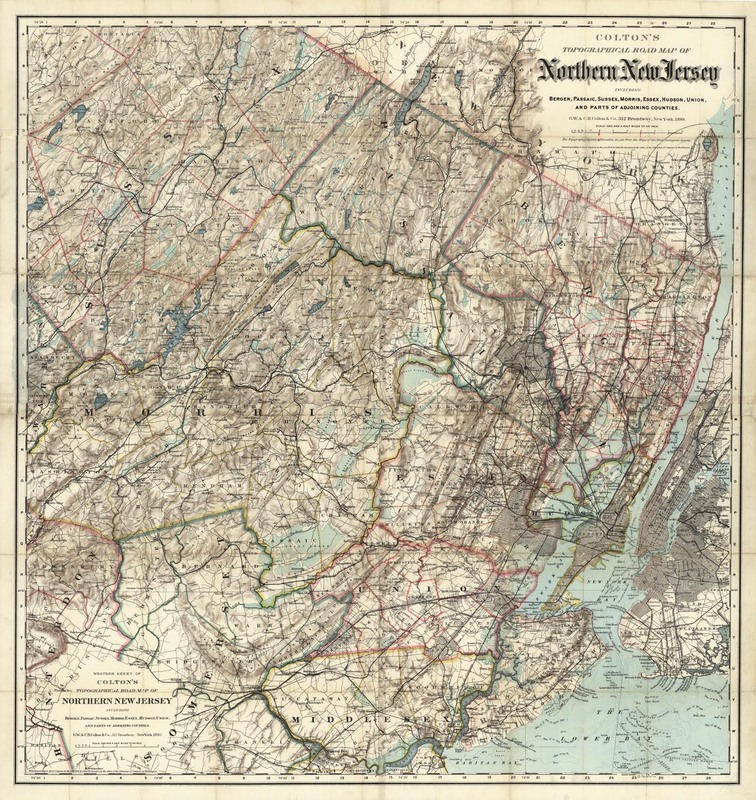 1886 (1890). Image size 37 1/2 x 34 3/4" (85.5 x 90 cm) plus margins.